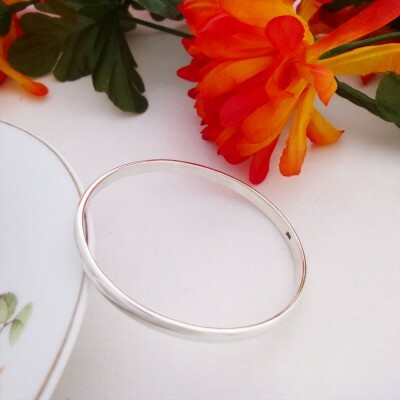 An elegant, sleek and beautifully designed sterling silver oval shaped slave bangle. 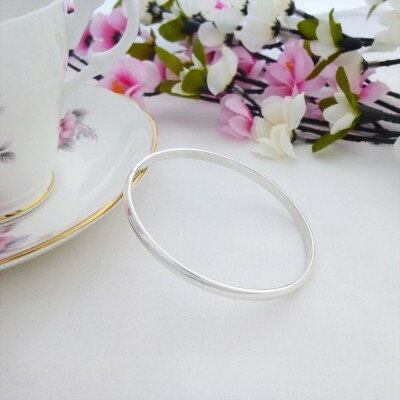 This is a solid silver bangle which is truly gorgeous and it has a lovely feel to it when worn on your wrist. We absolutely love this elegant, stylish and stunning Heidi Oval Bangle as it looks simply stunning on your wrist. 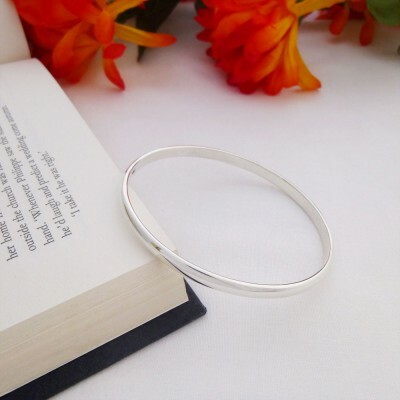 This is a quality, solid sterling silver bangle that has a weighty feel about it. The unique oval shape of this bangle enables it to sit naturally and attractively on, creating a glamorous look. The Heidi Bangle makes a lovely gift and a bangle that will be treasured forever. A gorgeous and popular oval shaped silver bangle that comes in its own bespoke ‘Guilty Bangles’ gift box. It measures approximately 65mm in diameter. 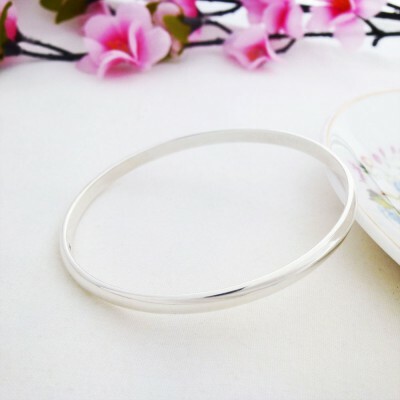 The width of this silver bangle is approximately 5mm.